The trails to the Enchanted Valley are among the most popular in Olympic National Park, following the Quinault River and eventually placing hikers in the middle of a one-mile-long valley filled with waterfalls and other spectacular sites. What trails should I hike in the Enchanted Valley? This 13-mile-long backpacking trail is quite heavily used, especially during late spring and summer, but if you can put up with the crowds, the end result is worth the trip. 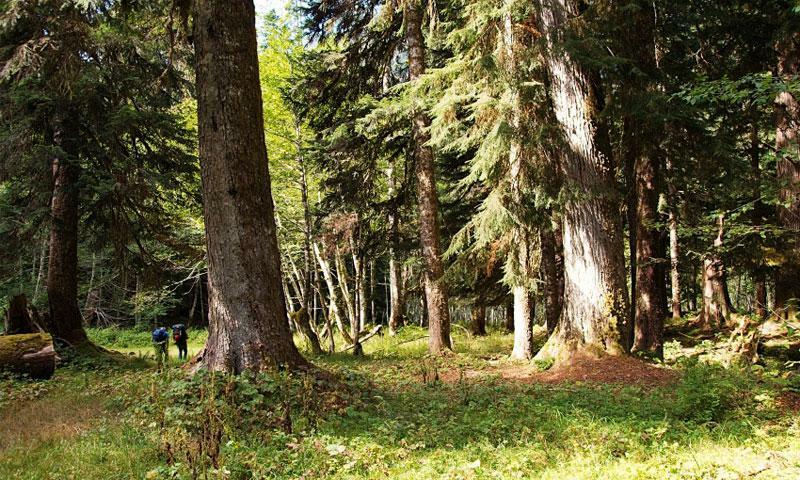 Hike through old-growth forest, across beautiful meadows, and ford the Quinault River on your way to the Enchanted Valley Washington. Continue on to Anderson Pass if you choose, which adds another 5 miles. Trailhead: From Aberdeen, head north on Highway 101. At milepost 125.5, turn east onto the Lake Quinault South Shore Road. At 12 miles, stay straight (ignoring the bridge and road) and continue a mile to where the road is closed, at Howe Creek. * Note that the access road to this trail has been closed for quite some time, adding an additional walk of 5.5 miles to the trek. Best hiked from late June through mid-October, this trail – as the name indicates – ends up at Lake Sundown. It’s not very heavily traveled and, hence, can be a great choice for those who like solitude. Treat yourself to a trek through Sitka spruce and red cedar and enjoy a scenic waterfall as you travel this Enchanted Valley Olympic National Park trail. Trailhead: Take Highway 101 West to mile marker 125.5 and turn east on Lake Quinault South Shore Road. Travel about 19 very bumpy miles to the end of the road, where you’ll find the trailhead.